The Missouri Department of Revenue and Internal Revenue Service no longer supplies printed tax forms to Libraries. 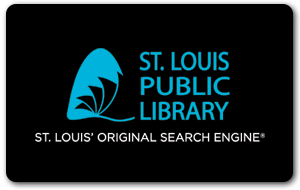 St. Louis Public Library has helpful online tax information as well as laminated copies of the most requested forms that can be photocopied at a cost of 10 cents per page. In addition, you can print commonly requested forms from any reference computer for free. All Missouri forms are available online at dor.mo.gov. Federal Tax Forms are available at www.irs.gov. To access these websites in the Library, use your valid St. Louis Public Library card to reserve a public access computer at one of the Library catalog workstations. 9445 Dielman Rock Island Industrial Dr.
Tax assistance offices are closed on state holidays.